What is Magento Exit pop-up Addon? Magento Exit pop-up Addon by Knowband is an interactive subscription pop-up which displays on the store whenever the customer intends to leave the store. This process can be done by tracking the mouse cursor. Magento Exit pop-up helps in reducing the bounce rate and also increases the conversion rate of the e-commerce store by displaying a pop-up when they want to navigate away from the site. The discounts offered by the pop-up gives them a reason to re-visit the store and some purchase from it. Magento Subscription pop-up module is one of the flawless ways to reduce the exit rate of the store. Magento Email Subscription pop-up also helps to increase the conversion rate of the store by offering them a discount. This module also prevails the user to enter their email id and in return, they can grab the discount coupons on their respective email id. Magento Email Intent Subscription pop-up module provides a facility of MailChimp Integration which helps to directly sync the email id with the Admin MailChimp account. With the help of MailChimp Integration tool, the store Admin can send the promotional emails and offers to the customer email id. What features does Magento Exit pop-up Addon by Knowband offers? Magento Exit pop-up can be configured in a few simple steps with many configurable options. Magento Email Subscription pop-up offers a user-friendly interface, where the admin has an option to change the look and feel of the e-commerce store. Magento Subscription pop-up Extension helps the Admin to manage the store by providing the stats report about the module. Magento Exit-Intent pop-up module offers functionality to change the discount coupons i.e. With the help discount management setting. 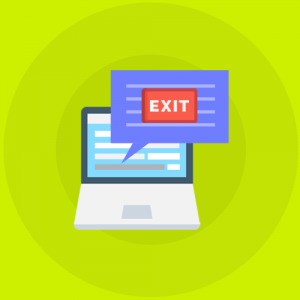 Magento Exit pop-up module helps the store Admin to cover a large number of an audience by providing support to multiple languages. Magento Subscription pop-up offers support with MailChimp integration. Magento Exit pop-up Addon helps to engage the customers with the store. Magento Email Subscription pop-up offers a MailChimp Integration feature through which the Admin can send the email’s to customers regarding promotions and different offers. Magento Exit-Intent pop-up gives a chance to convert the visitors into store customers. Magento Subscription pop-up offers an easy to use back-end interface. Magento Exit pop-up plugin helps the store Admin by providing them a detailed stats regarding the performance of the store. Magento Exit pop-up module helps to enhance the performance of the store and high impact on the sales.